Give them an “Ear Full” on a note pad. Fun for your home or as a gift. Stock up! A retro elegance adds to the fun in our note pad collection. Nice little surcie. Great to have on hand! 65 sheet pads of 80 lb paper. Long and slender with lots of room for your list. Measures 8 1/2″ x 3 5/8″ each. 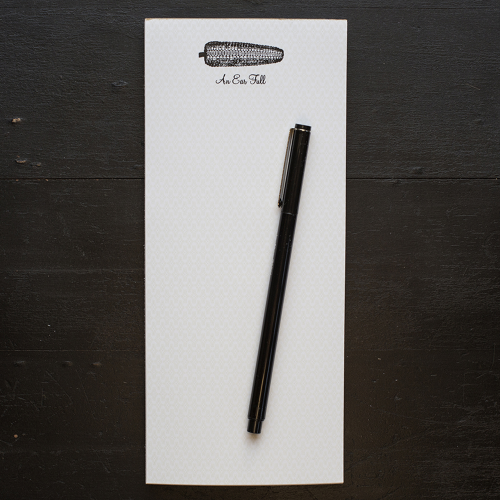 The perfect size for today’s to-do-list in a short note pad! Some of Ancesserie’s favorite images now in our square note pads. Delightful little gifts, a signature for your home. Stock up on an assortment, or pick your favorite. In this age of technology, there is simply no substitute for the written note! The perfect size antler note pad! Some of Ancesserie’s favorite images now in our square note pads. Delightful little gifts, a signature for your home. Stock up on an assortment, or pick your favorite. In this age of technology, there is simply no substitute for the written note. Our Bow Tie Lab Note Pad is a true gentleman. Original artwork for Ancesserie. A retro elegance adds to the fun in our note pad collection. Nice little surcie. Great to have on hand! 65 sheet pads of 70 lb, white paper. Long and slender with lots of room for your list. Measures 8 1/2″ x 3 5/8″ each. A handsome rep stripe in a bow tie note pad! 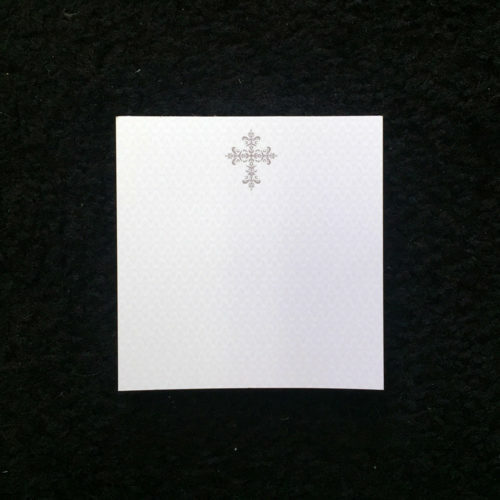 Perfect for graduate, father, brother, uncle, the ultimate note pad for a gift a “step above.” A retro elegance adds to the fun in these long note pads with lots of room for your list. 65 sheet pads measure 8 1/2″ x 3 5/8″. 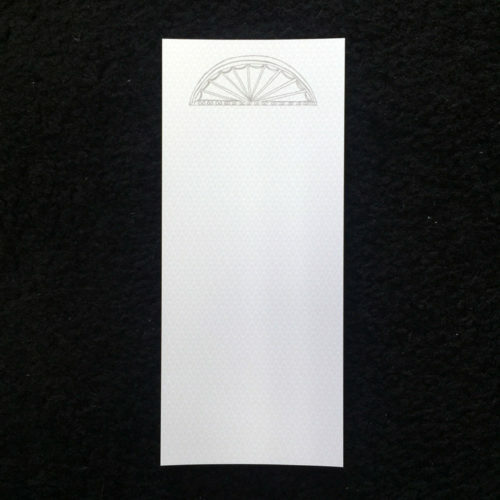 The early etching of a fan light graces each page of this note pad! 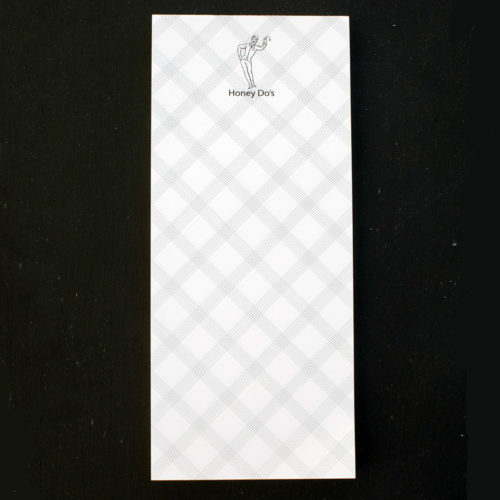 Perfect for the home lover, architect and those who radiate sunlight in your life, the ultimate note pad for a gift a “step above.” A retro elegance adds to the fun in these long note pads with lots of room for your list. 65 sheet pads measure 8 1/2″ x 3 5/8″. Fly Fishing note pad: “Tackle” that list! Some of Ancesserie’s favorite images now in our square note pads. Delightful little gifts, a signature for your home. Stock up on an assortment, or pick your favorite. In this age of technology, there is simply no substitute for the written note! It’s the cook’s gift! 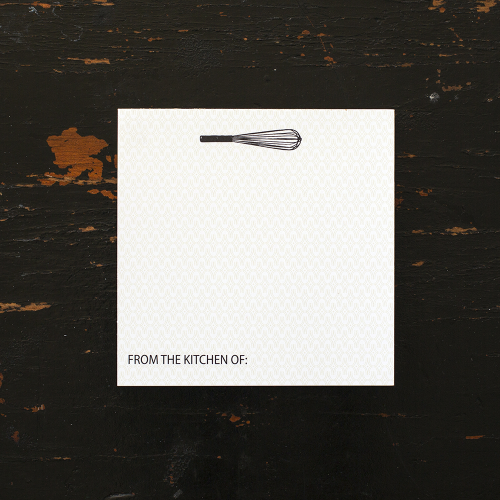 The perfect gift for a well-appointed kitchen, our short From the Kitchen of Whisk Notepad. A place to share a cherished family recipe or scribble kitchen notes and lists is always a welcome kitchen gift. Delightful little gifts, a signature for your home. Stock up on an assortment, or pick your favorite. In this age of technology, there is simply no substitute for the written note! Oh, the “Honey Do List!” We have just the pad -fun, whimsical & modern – It sets the tone with our fun-loving, dapper gentleman with daisy in hand. A delightful gift for him or her! 70 sheet pad featuring our new, 70#, ultra smooth paper stock with just a hint of Tartan plaid as a backdrop to your list. Stock up! 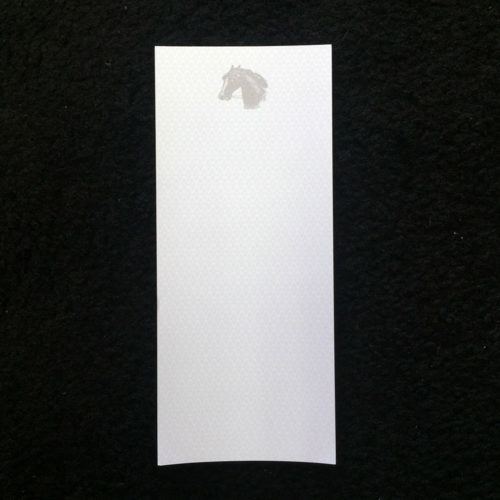 The early engraving of a horse’s head graces each page of this note pad! 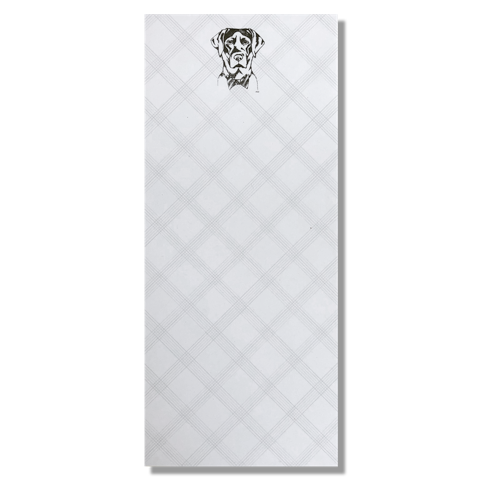 Perfect for the equine home, the grad, the parent, the horse lover in your life, the ultimate note pad for a gift a “step above.” A retro elegance adds to the fun in these long note pads with lots of room for your list. 65 sheet pads measure 8 1/2″ x 3 5/8″. 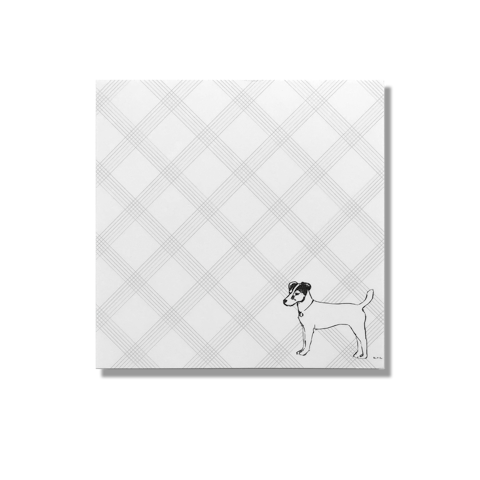 Our Beautiful Lab Note Pad is a classic. Original artwork for Ancesserie. A retro elegance adds to the fun in our note pad collection. Nice little surcie. Great to have on hand! The perfect size oyster note pad! A lovely hostess gift or host gift for a coastal or beach home. Some of Ancesserie’s favorite images now in our square note pads. Delightful little gifts, a signature for your home. Stock up on an assortment, or pick your favorite. The Palmetto Bug has made its way into stately homes, carriages, cocktail parties and guest bedrooms for centuries. The pesky guest is just begging for attention. Dare you make these note pads a signature home accessory? A fun hostess gift? Some of Ancesserie’s favorite images now in our square note pads. Stock up on an assortment, or pick your favorite.The perfect size! In this age of technology, there is simply no substitute for the written note. 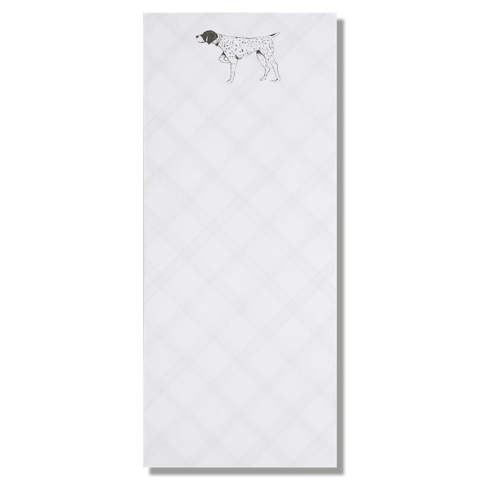 Our German Short Haired Pointer now in a long note pad! Original artwork for Ancesserie. A retro elegance adds to the fun in our note pad collection. Nice little surcie. Great to have on hand! 65 sheet pads of 70 lb paper. Long and slender with lots of room for your list. Measures 8 1/2″ x 3 5/8″ each. Our Shot Shell Note Pad! For home, for your desk or hunting cabin. Some of Ancesserie’s favorite images now in our square note pads. Stock up on an assortment, or pick your favorite.The perfect size! In this age of technology, there is simply no substitute for the written note. 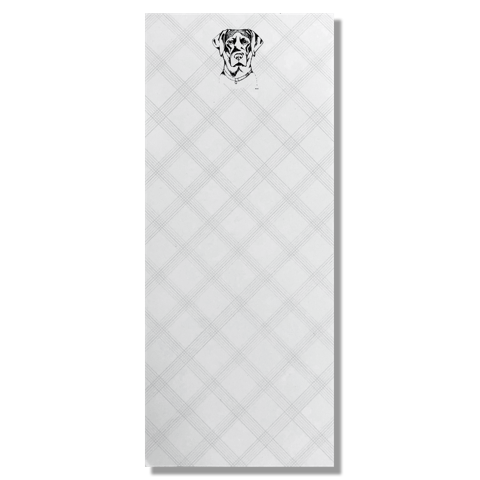 The terrier note pad – our newest addition to the working dogs! Some of Ancesserie’s favorite images now in our square note pads. Delightful little gifts, a signature for your home. Stock up on an assortment, or pick your favorite. In this age of technology, there is simply no substitute for the written note! 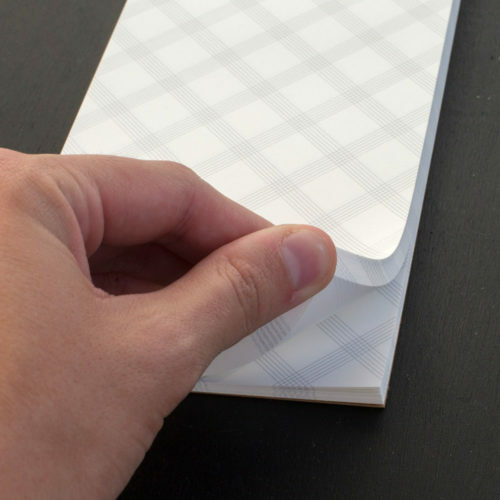 Texting Note Pad: circle your sentiment and write the note. Very handy, indeed! Some of Ancesserie’s favorite images now in our square note pads. Delightful little gifts, a signature for your home. Stock up on an assortment, or pick your favorite. In this age of technology, there is simply no substitute for the written note! A fun gift for a cook! 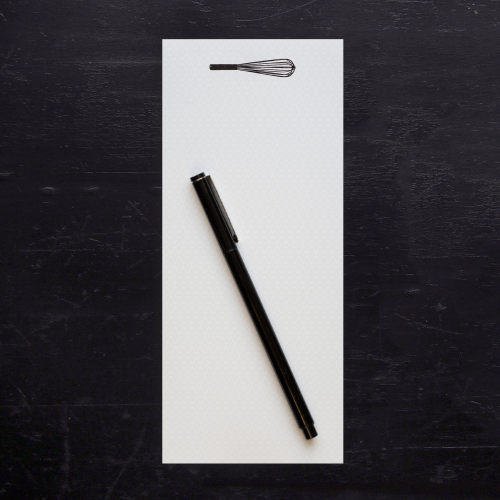 The perfect gift for the home cook, our long Whisk Notepad. A place to scribble notes or grocery list is always a welcome kitchen gift. 60 sheet pads of 80 lb paper. Long and slender with lots of room for your kitchen notes or ingredient lists. Measures 8 1/2″ x 3 5/8″ each. 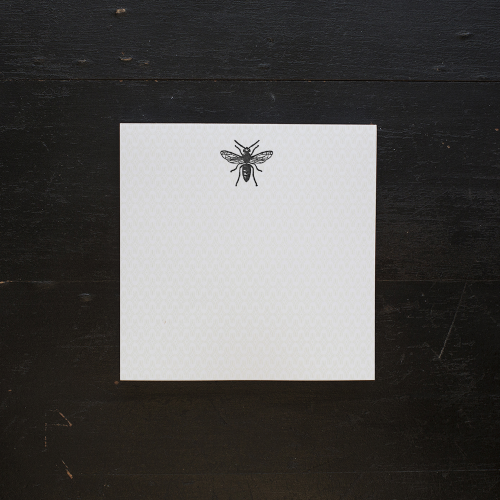 Our Worker Bee Note Pad! Some of Ancesserie’s favorite images now in our square note pads. Delightful little gifts, a signature for your home. Stock up on an assortment, or pick your favorite. In this age of technology, there is simply no substitute for the written note!